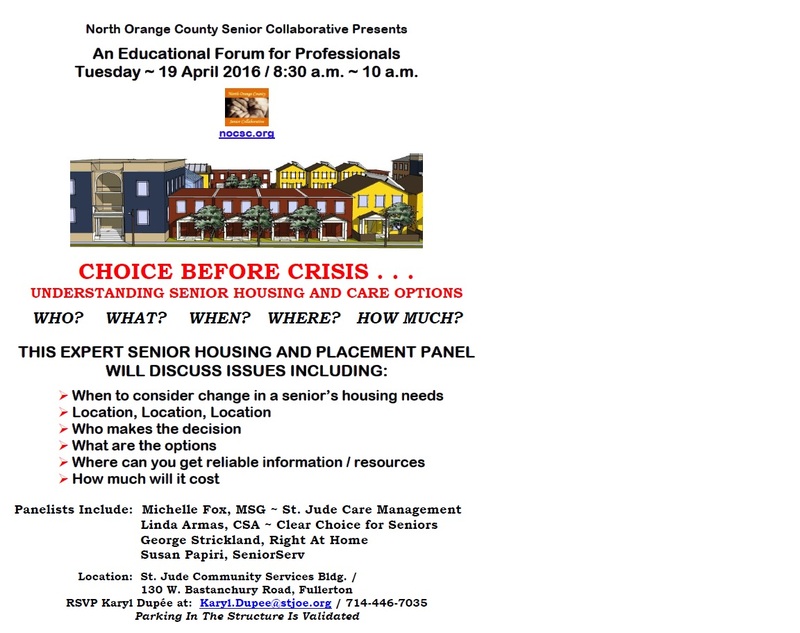 Please join us for this informative session tomorrow April 27th (Wednesday) from 7-8 pm! 1. NAELA National Academy of Elder Law Attorneys’ website at www.naela.org. On the NAELA homepage, you will find a link that will help you locate an elder law attorney near you. We live in a society where the post-World War II Baby Boomer Generation (born 1946-1964) is reaching their senior years in ever-growing numbers, and representing an increasingly larger segment of the population. Higher standards of living and medical advancements are extending life expectancies in many countries to well above the age of eighty. It goes without saying that patience and compassion are often needed when dealing with the elderly. Physical challenges, slow movement, forgetfulness, neediness, and apathy are just some of the behaviors you might encounter. Sometimes it’s easy to lose patience and become frustrated. One might even be tempted to give up and walk away. Having empathy for the older adult is an effective way to generate more patience and compassion. If, despite your best efforts, your patience still runs thin, take a time out from the older adult if possible. Come back when you’re in a calmer state of mind. Asking questions offers the senior a greater sense of respect and regard. Offering options gives her or him a greater sense of control of the immediate environment. Similarly, ask questions instead of making assumptions when it comes to your actions in relations to the older adult. For example, instead of turning the lights off in the senior’s room without asking, say “I’m going to turn off the lights for you, okay?” If the senior protests, let her have her way if it’s harmless, or explain why it’s important for you to do what you need to do (in most cases for the sake of senior’s health and well-being). When people feel like they’re being bossed around on a regular basis, they’re more likely going to respond with what psychologists call the “Three F’s – Fight, Flight, and Freeze”, leading to behavioral problems such as argument, avoidance, or stonewalling. These types of statements compel the older adult to be more open to what you have to say, encourage listening, and reduce the possibility of Fight, Flight, or Freeze responses. Many older adults desire to maintain a sense of independence. This may be especially important when seniors feel their physical and cognitive limitations, but still desire ways to maintain some level of local control in their lives. Whenever possible and appropriate, offer an older adult choices when interacting with her or him. This can be something as simple as asking whether the senior would like to have choice A or choice B for lunch. Having the ability to exercise choice can provide the older adult a greater sense of confidence, esteem, and security, as the senior feels the power to be proactive in life.